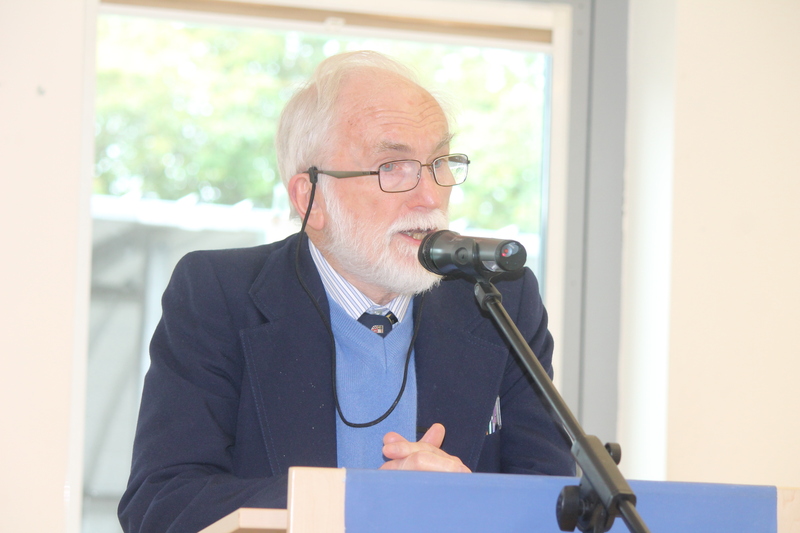 Prof Andrew Walls spoke at our recent Missio Africanus conference on the subject of “Migration, Mission, and African Christians in Britain.” As those who know him have come to expect, his speech was excellent and powerful. He spoke in a way that only Prof Andrew Walls can speak. In a 2007 Christianity Today article entitled “Historian Ahead of His Time”, Tim Stafford boldly suggested that “Andrew Walls maybe the most important person you don’t know.” He has worked with African Christianity for almost sixty years, having first began his mission service teaching the famous Fourah Bay College in Sierra Leone in 1957.1 Walls moved from Sierra Leone to Nigeria in 1962 where he taught at the University of Nigeria (Nsukka) until 1965. He returned to Scotland to teach at the University of Aberdeen in 1966 — a year before the Biafra War broke out in Nigeria. Since then, he has continued to spend a great deal of time in Africa. Even in his old age, he is still involved in teaching at the Akrofi-Christaller Institute in Akropong, Ghana, and at the Africa International University’s Centre for World Christianity in Nairobi, Kenya. If there is anyone who can give a commentary on the development of African Christianity going back to the 1950s, very few people can match Andrew Walls. He does not think of himself as a prophet — something he said in his lecture — but he foretold of the rising influence of African Christianity and the subsequent shifting of Christianity’s centre of gravity to Africa many years ago, long before many could see it coming. 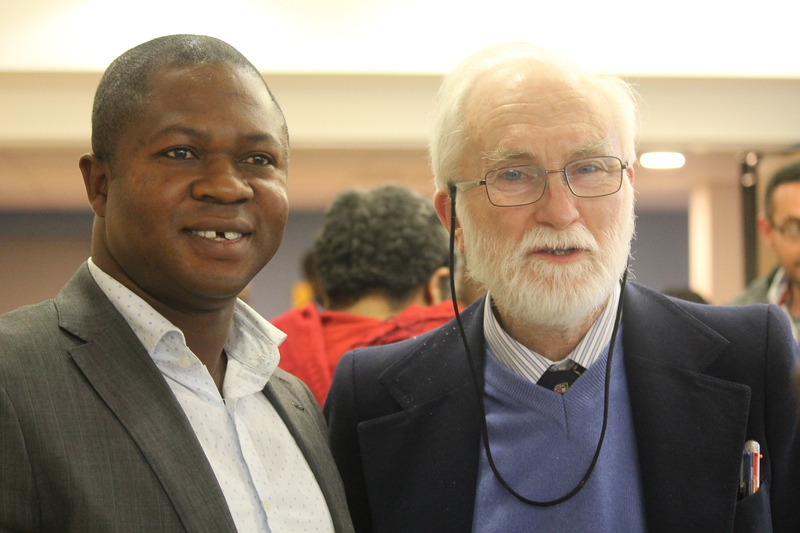 Of course, he is not just an expert on African Christianity — he has supervised many doctoral theses from around the continent. His field is world Christianity. His library at the Andrew Walls Centre for the Study of Asian and African Christianity stands alone in its own class. In his lecture at Missio Africanus, Walls touched on many topics, but migration was a central theme. He reiterated that migration is a prevalent theme in the Bible story — and that means the Bible can speak to us today on issues such as the refugee crisis in Europe and the anti-emigration politics in the United States. The relevance of this theme was quite straight forward … more than half the audience were migrants, most of them African Christians currently living in Britain. Indeed, Walls did state once again that he believes that the missionary movement of this century will be greatly influenced by the events taking place in African Christianity today. It has been predicted that between 40 and 45 percent of Christians in the world will live in Africa by 2050. This fact alone means that the African Church will have to somewhat shoulder a great part of the responsibility to share the gospel with the world. Towards the end of his first session — he had two sessions — Walls spoke about the Macedonian Call (Acts 16:9) where Paul and his team had arrived at Troas after being first “kept by the Hoy Spirit from preaching the word in Asia” (Acts 16:6) and then “prevented by the Spirit from heading north to Bythinia” (Acts 16:7). While at Troas, Paul had a vision of a man from Macedonia inviting him to “Come over to Macedonia and help us.” Luke (who seems to have joined Paul in his second missionary journey here) records that “After Paul had seen the vision, we immediately made efforts to set out for Macedonia, concluding that God had called us to evangelise them.” Macedonia was on the other side of the Aegean Sea, in the continent of Europe. And thus, many scholars have argued, Christianity came to Europe. At this point, Andrew Walls reiterated the words of Paul’s vision, come over and help us. 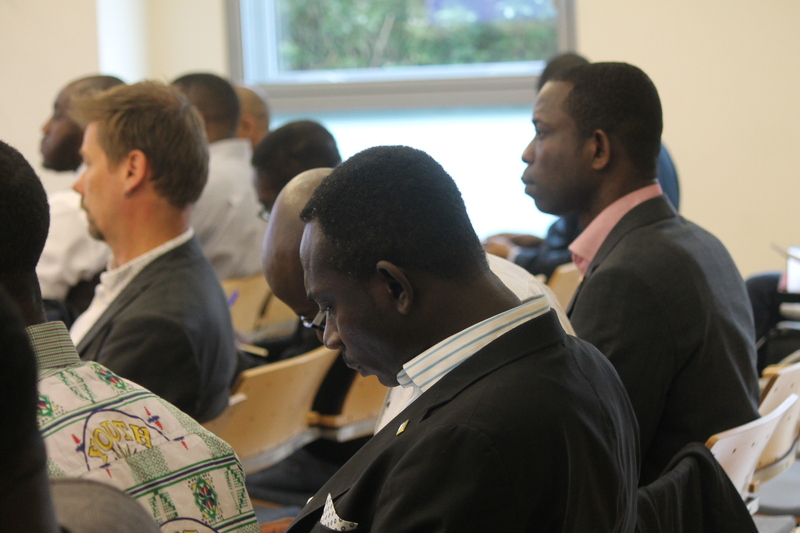 This time, of courses, Prof Walls was speaking mainly to African Christians in Europe, inviting them to engage in mission in the continent. This Macedonian Call became the highlight and the central focus of the day. It was the climax of his talk, and became the foundation for anything else that happened on the day. To hear the Macedonian call for help from Andrew Walls says a lot. As far as I know, it takes a lot for a Westerner to ask for (and receive) help. And when it has to be done, asking for help from an African is usually the last option, even when the African has the answer. An American friend once advised me to cut the word “help” off my vocabulary when it comes to partaking in mission in the West because, in his words, “Americans do not like to think of themselves as needing help.” I am not sure how true this is, but I know that most of my European and American friends are good at giving help — but they find it difficult to ask for and receive help. The help that the Macedonian needed was to evangelise Europe. And Europe needs a new evangelisation today. Many who can help are already in Europe, having come from Latin America, Africa, Asia and other parts of the world. However, many of them lack the know-how and the confidence to engage the West in mission. They gather among themselves in their churches every Sunday and continue to wonder if they will ever be able to reach a Westerner. Many have given up saying “Europe is the hardest mission field in the world.” To make possible a missional engagement of world Christians in Europe, European Christians have to “enable” their ministries among Europeans. The fact that Europe is a mission field is beyond question now. And I believe the fact that the re-evangelisation of Europe will only be possible if it involves global Christians resident in Europe should also be beyond question as well. What will be critical is, I believe, the asking and the receiving of help as European and foreign Christians get to work together in mission in Europe.